A beautiful bundle of fraud products have emerged over the recent years, with a seemingly simple goal in mind: automate fraud prevention. Automated systems track many data points to generate a score denoting the riskiness of each user or action. Merchants set thresholds so that users with a score higher than “x” are considered bad, and those with a score lower than “x” are good. With systems spitting out scores based on real user data, fully automating fraud prevention should be somewhat simple, right? Not yet. Ultimately, the best fraud prevention systems are a combination of automation and manual review. During Christmas, your average order value might increase significantly, shipping locations can change, distances between location and delivery sometimes grow, new credit cards are added to accounts, and IP addresses can change. A user that normally ranks low in riskiness will immediately be considered risky given these common holiday behavioral changes. An entirely automated ML model can take time to “learn” and account for these seasonal changes, causing the system to fluctuate, lose short-term trustworthiness, and ultimately, to reject perfectly good orders. Additionally, there is a category that a purely automated system cannot protect against: Grey-Area Users. These are users that are close to the decline mark, but not quite there. As we improve our methods, fraudsters continuously do the same. This often means that fraudsters figure out pieces of the riskiness calculus and are able to strategically avoid those triggers. In a purely automated system, this allows fraudulent orders to go undetected. So, while it is safe to say that there is a line of definitely good—with the exception of friendly fraud—the line for obviously bad is a bit blurry. Let’s think about a scale of 100. We cannot flag this last category as obviously good or bad. In many automated systems, it would pass. In a complex fraud prevention system, an order from such a user would get flagged for additional verification through manual review. Pure automation can reduce your malicious fraud, but not to the fullest extent. Depending on your business, these grey-area users can be a significant driver of your overall chargeback rate. To optimize for a minimum chargeback rate, your system must have a manual review component. Manual review is the process during which extra verification takes place and often involves a person reviewing the case. It’s about learning how to distinguish key characteristics associated with good and bad users, and applying that experience to specific cases in deciding whether to allow a purchase or action on your platform. It’s about training your eye, and your gut, to assess gray-area situations in ways a computer cannot. This all boils down to the fact that manual review is here to stay for at least the short-term future. As we approach the holidays, the next step is to focus on what you can do to optimize your manual review process during this upcoming holiday season. Seasonality and fraud aren’t the best of friends. Seasonality blurs the lines between good and bad customers, all while playing host to a massive spike in fraud. This triggers an increase in Grey-Area Customers and a need for more human eyes assessing these cases. So what do you do? This is the time when manual review becomes critical, yet also grows in volume significantly. Once you’re confident in your optimized manual review process, the next important piece is to hire holiday staff—an expensive proposition. Holidays are the big boost to EOY sales and you don’t want to offset this by increasing costs. I get it. A newer option in the fraud space is to outsource. You can hire a holiday team at <$10/hr that executes on the streamlined, repetitive tasks while your internal team focuses on the highly skilled, non-repetitive tasks. As long as you can simplify the process and build a strong training regimen, it’s possible to outsource this work. Outsourcing is an incredible resource that, when done correctly, can really help your business. It’s extremely low-cost, frees up time for your internal team to focus on key value-added work, and forces you to evaluate your current processes with optimization in mind. There are some basic requirements, but the key to successful outsourcing is a clearly defined, simplified process broken out into tasks. The outsourced work should be repetitive and you should have a system in place to track quality. A successful manual review process and a successful outsourced team share a key factor: simplicity. Complexity begets confusion, so break things down wherever possible. As you approach the holidays, get your fraud ducks in order so you can minimize loss and maximize profit as you close 2018. Courtney Fahrer is the founder of OpsTales, an outsourcing agency based in San Francisco that enables companies to optimize staffing needs in chargeback management and fraud prevention, customer support and more. 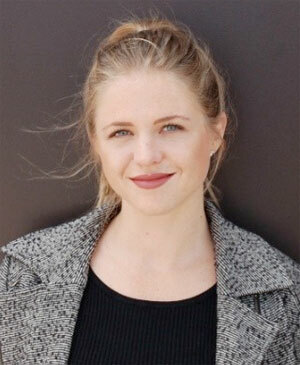 She has also served in several retail roles, including head of marketplace operations for online marketplace Wanelo.